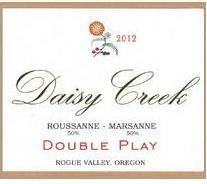 Daisy Creek Vineyard In 1994 a retired couple, Russ and Margaret Lyon, purchased 23 acres of hay meadow just east of Jacksonville, Oregon. Beginning as Daisy Creek “Farm”, the Lyons planted two acres of grapes, baled hay and built a barn. After twenty years of blood, sweat, and tears and now known as Daisy Creek Vineyard, more than one-half of its acreage is producing eight varieties of wine grapes. 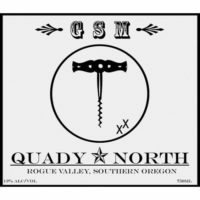 Quady North In 2005, the Quady family purchased 100 acres, which contained the remains of an old motocross track and several dozen aging vehicles, and set upon the long task of converting it into an Estate vineyard. The next year, Herb and Meloney made the first vintage from purchased fruit while Herb worked as a winemaker at Troon Vineyard. Sourcing from distinct sites at disparate corners of the region, the first vintage was of excellent quality, and showed the terroir of each site. Dancin Vineyards is a collection of distinctively unique vineyards of Pinot noir and Chardonnay located above the forested foothills just outside the historic gold rush town of Jacksonville, Oregon each contributing its own individuality (terroir) to the overall diversity of our growing sites. Our vineyards are primarily located on northeast facing slopes that are situated at varied elevations of between 1710 and 1960 feet above sea level, each of which expresses its own specific microclimate. South Stage Cellars Don and Traute Moore are pioneers in Oregon’s wine industry who began farming winegrapes in the Rogue Valley in 1989 on an idyllic 20-acre site they named Quail Run Vineyards. Over the next twenty-three years, Don and Traute studied and experimented with growing techniques and consulted with the world’s finest winegrape growers. They brought in dozens of varieties and planted test blocks around the valley to see what grew best and where. Their discoveries helped launch our region’s wine industry.